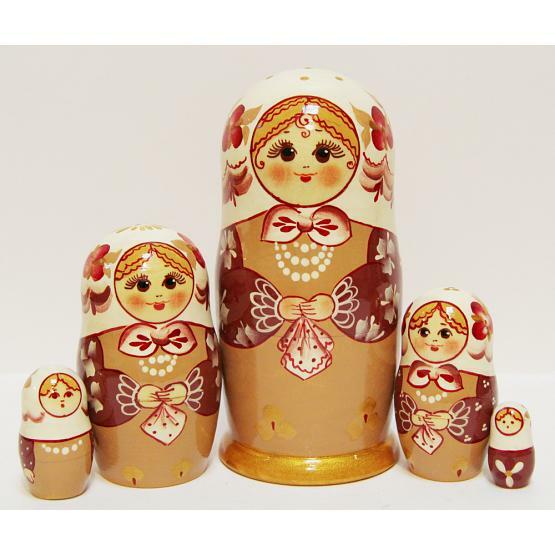 Set of 5 nesting dolls depicting cute girls wearing exquisite laced clothing. 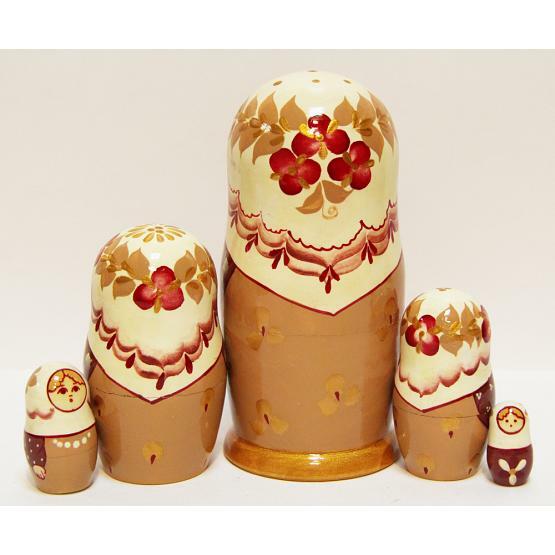 Handmade in Sergiev Posad, Russia. Height: 5.9" (15 cm). Imported from Moscow. Ships within 5 business days.